I think today we will keep it short. Start with a spectacular sunrise over Lake Argentino. Order up a meal at the El Galpon del Glaciares restaurant. 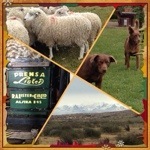 Enjoy a nice meal and then tour there sheep ranch. It is amazing what they accomplish there. 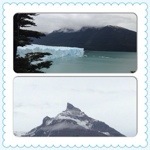 Reflect on the great experience you have had in El Calafate and in Patagonia. I know I had a great day and hope you did too.